Verizon it would nearly double the iPhones customer base. Since T-Mobile only has about 34 million subscribers a deal with them would only increase the iPhone’s customer base by a third. Shawn Wu also stated “It is notable that signing up both T-Mobile & Sprint would almost be the equivalent of signing with Verizon.” Shaw Wu also noted that Sprint Network is CDMA and would require a customized iPhone, just like Verizon. So if Apple were to sign with Sprint, it may as well sign one with Verizon. 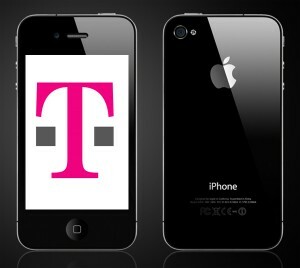 Now I think this would be good for Apple as well as T-Mobile. Since T-Mobile offers a wide variety of smart phones from Android smartphones, BlackBerry, a Nokia smart phone. Having the iPhone would just increase the companies’ sales for both Apple & T-Mobile. And considering that T-Mobile is known for their customer service & cheap cellular plans, I think a lot of AT&T customers would come to T-Mobile. But in order for Apple to remain competitive in the smart phone market, I think they are going to have to open up the iPhone to all US cell providers.